← VentureTips…Did You Plan Your Next Venture Over the Holiday Weekend? Somewhere along the way, I’ve been miseducated. Or, perhaps, I misunderstood my education. Whichever it is, I’ve been wrong about a fundamental element of business. And now, hundreds of entrepreneurs I’ve worked with and advised are paying the price. I’m speaking of course about profitability. Long a sacred tenet of basic microeconomics and business teaching, the notion that you should generate more in revenue than you expend in expenses is apparently not important in GroupOn’s case. According to the WSJ on June 2, the company generated over $713 million in revenue in 2010, but had a net loss of $390 million. I don’t have a cash flow statement, but that is what, a $1.1 billion annual burn rate? This was funded by stock issuance in the 15 months of 2010 and Q1 of 2011 of that amount…including $509.7 million in the first 3 months of 2011 alone (see page 59). Now in fairness, the incredible growth they’ve experienced requires cash. Gobs of cash. I mean Q1 2009 revenue was $252,000. Q1 of 2010, revenue was $44 million. Q1 of this year was $644 million! One does not even bother to calculate percentage rates of growth like that. And the only way to get your $1 billion out is to go public. Remember in the dot.com days when we were told there was a “new” economy. In the “new” economy, revenue didn’t matter…only sticky eyeballs matter and we’d worry about earning revenue later. That type of thinking led to a big burst bubble. Is GroupOn the first of a new “new” economy wave where profitability doesn’t matter and we can worry about it later? The company has plenty of supporters…Jim Cramer on June 3 tweeted to “get in on this deal”. He understands public markets way, way better than I do. Frankly, compared to him, I don’t understand the stock market at all. He and others are buying into the excitement surrounding the rapid growth and believe that the founders will find a way to get the company profitable. I would just have too much concern that the competition will keep GroupOn in check and that profitability will be hard to come by. 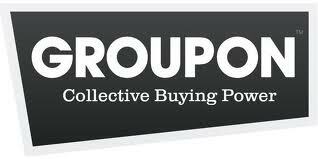 GroupOn has built, perhaps, the fastest growing company in the history of the world. They’ve done a shockingly huge number of things right to achieve this growth. In two years they went from 37 employees to 7,100 employees! But is the growth sustainable? The same question could have been asked of Amazon and eBay. My biggest concern with GroupOn is that they basically offer coupons. My local Sunday morning paper yesterday exclaimed, with a red banner across the very top of the front page, about the $892 in savings from coupons within its pages. Coupons are everywhere. I now get emails from a couple of online, GroupOn-like services. And a few other local businesses send me printed booklets with coupons with GroupOn-like 50% off buys. Lots of competition for GroupOn…and by the way, the offers I’ve been getting lately from GroupOn are weak and crappy and not at all a fit with my psychographic box (pedicures from some little shop 15 miles away is not my idea of well-targeted couponing!). So, I think they will find it hard going to continue the pace of growth (of course, this is an easy prediction…infinite growth rates will be tough to sustain! ), but I think profitability will remain tough. However, my objective here is not to judge the future stock price of GroupOn. My point here is that it is not possible to predict anything like this kind of success. I provide business advice almost every day to entrepreneurs dreaming of this kind of business growth (some even dare to project this type of growth!). My job is to tell entrepreneurs that, especially these days, you need to get a basic product out the door, try to make it profitable or show that profitability can be seen from where you are, and that when you get to about $1 million in revenue, you might be able to raise $1 million in venture/angel A round capital. The GroupOn guys mostly funded the early work themselves , and I don’t know what their original projections looked like. But I gotta tell you that if a couple guys showed up in my office yesterday, saying they’re going to go from $0 to a $2+ billion revenue pace in a couple years, spend $1 billion including $500 million paying off the founders and go public…all because they’re gonna “sell stuff better than other people have”, I wouldn’t have believed them to say the least. Undoubtedly I would have suggested they re-look at their plan and call me when their projections are more realistic. I mean, how are you going to raise that kind of money? How are you going to protect your idea? How are you going to generate that kind of traffic? And, when the hell are you going to MAKE money? For now I’m going to play it safe and suggest that GroupOn is an outlier. It’s an anomolous situation that has no peer and is not the leading edge of a trend. TechonomicMan hereby declares that the notion of profitability is NOT dead. It DOES matter! Do not use GroupOn as a “comparable” in your exit strategy Mr. New Entrepreneur. Show me the profits! Long live the profits! This entry was posted in Entrepreneurial Advice, Innovation and the World, Uncategorized and tagged GroupOn, IPO, Jim Cramer, profits, revenue. Bookmark the permalink.